Uses trypsin to cleave the C-terminal side of lysine and arginine amino acid residues of peptides. Uses chymotrypsin to cleave the peptide bonds formed by aromatic residues such as tyrosine, phenylalanine, and tryptophan. Uses proteinase K kits to cleave the peptide bond adjacent to the carboxyl group of aliphatic and aromatic amino acids with blocked alpha amino groups. The Streptavadin version of the kit allows for purification of various biomolecules via the formation of strong streptavidin-biotin bond. 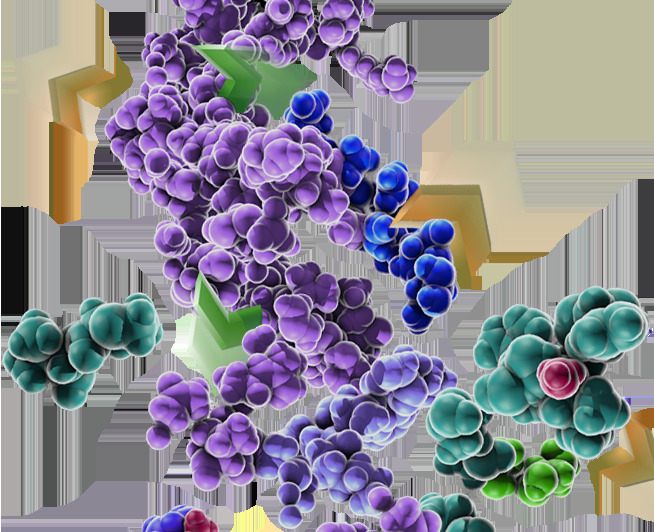 The Protein A version of the kit allows for targeted purification of immunoglobulins due to the strong affinity for binding to the Fc portion of the molecule. The Protein G version of the kit allows for targeted purification of immunoglobulins due to the strong affinity for binding to the Fab and Fc portion of the molecule. The Rapid Digestion Trypsin/Lys-C are designed to shorten protein digestion times to 60 minutes versus the typical 4–18 hours required for protein digestion. The Rapid DigestionTrypsin Kits are designed to shorten protein digestion times to 60 minutes versus the typical 4–18 hours required for protein digestion. Using standard digestion conditions, Trypsin/Lys-C Mix improves peptide digestion over trypsin alone, increasing peptide recovery and resulting in better protein quantitation. A highly-purified serine endopeptidase derived from bovine pancreas that preferentially cleaves at the carboxyl side of aromatic amino acids Tyr, Phe and Trp.